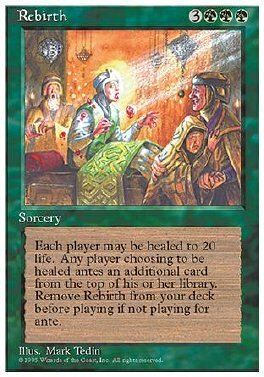 Remove Rebirth from your deck before playing if you're not playing for ante. Each player may put the top card of his or her library into the ante. If a player does, his or her life total becomes 20.